This THC vape cartridge is engineered by Polaris to give you consistently smooth draw and flavor delivery (as well as the perfect high!) These cartridges are loaded with 500mg of 100% solvent free Blue Maui CO2 oil, and are ready to use with any 280mAH vaporizer stylus batteries. There’s little to no odor in the exhaled vape, and the taste can be described as a sweet combination of tropical fruits and ripe blueberries with hints of pine. Blue Maui is a well-balanced hybrid of Blueberry and Maui known for its wide-ranging effects. A cartridge will provide a productive and inspiring energy reminiscent of sativa, yet indica-like in its body buzz. Medical patients may enjoy this strain for daytime pain relief or for relief from stress and anxiety. Recreational customers love the balanced head/body stone. Reviews of this strain often cite intense, euphoric and creative brain activity accompanied by a general feeling of body relaxation. Find Blue Maui in Las Vegas! Extraction for this product was completed by Polaris Wellness Center, a state licensed facility known for producing high-grade medical marijuana and CO2 oil at their state-of-the-art and quality controlled facilities in Nevada. Come into our North Las Vegas or Downtown Las Vegas dispensary today to check out the Blue Maui vape cartridge for yourself! 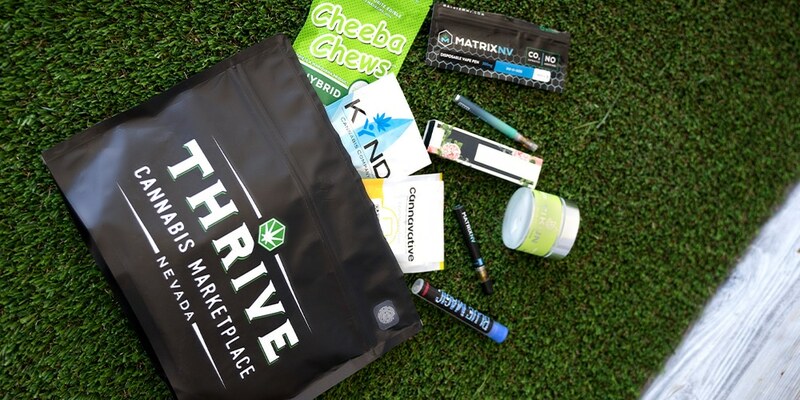 Grab one today at Thrive Cannabis Marketplace!